Introducing Barberries! What are barberries? Very popular in the Middle East as a low glycemic fruit, barberries (also known as ‘Zereshk’ in eastern cultures) are slightly tart and simply delicious! 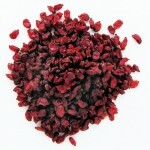 Our barberries are a great source of antioxidants and are low carb, gluten free and have no sugar added to them! Low carbers can replace these in recipes calling for raisins with this delicious fruit. Soak them overnight in LC-Natural Sweet Brown Sugar Sauce to make a delicious raisin-like treat, ready to eat or bake with. Add them to one of our bread baking mixes to make “raisin” bread! Intrigued? CLICK HERE TO FIND OUT MORE!